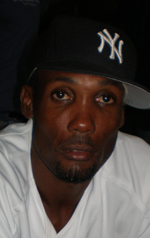 President of the Linden subassociation, Uborn Smith broke his silence on the decline of the Linden Amateur Basketball Association (LABA) and a day later, his main opposition, Abdullah Hamid released his development proposal. Smith, who toppled Colin ‘BL’ Aaron for the presidency two years ago, was tight lipped until Sunday when he came out in another section of the print media to admit to previous allegations that he failed to advance the association. 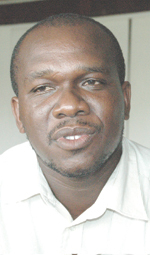 The embattled president that went from ‘superfavourite’ to ‘noconfidence’ movements against his office said that he was not successful with his vision for the sport in Linden where Hamid dished out an ambitious plan yesterday. Hamid has promised Kaieteur Sport a copy of the document that this newspaper was able to peruse in Linden yesterday. However, Smith dismissed Hamid’s vision when he stated that those should have helped the present administration. In response yesterday, Hamid said: “at no time did I withhold ideas from the association. In fact, those ideas for the sport that he (Smith) spoke of in the article are my ideas that other members of the association know about”. The founder of the Abdullah Hamid Basketball Foundation indicated that Executives on the current LABA slate are interested in his candidacy for President because “the sport has been on the decline for the last two decades”. In a bold and provocative statement, Hamid believes that the Georgetown association has superseded the LABA and he wants to reverse that. “GT (Georgetown) has risen above us and I will not keep my knowledge a secret,” he said. Hamid wants to form official associations for referees and table officials as well as renew the defunct community basketball courts in Linden. He indicated that Smith is aware of his vision for the sport and his comments were inaccurate. The escalation of the ‘war of words’ follows Smith’s late decision to relegate the Kashif and Shanghai Kings to Division II following the club’s refusal to play in the LABA first division League that started late last year. Hamid, who is a player and coach in the club, had lashed the LABA earlier this year for the decision to relegate the club. He had said then that the relegation was to deny the club a place in the Next Level Entertainment tournament. Despite the club was invited to play in the mega-event, Hamid and Smith were at obvious odds over various internal issues including the non-payment of prize monies to clubs that won previous LABAsanctioned tournaments. Smith had promised to speak to this newspaper several times when contacted but that did not prove productive. The LABA Annual General Meeting and Elections are set for early May at the Mackenzie Sports Club pavilion.